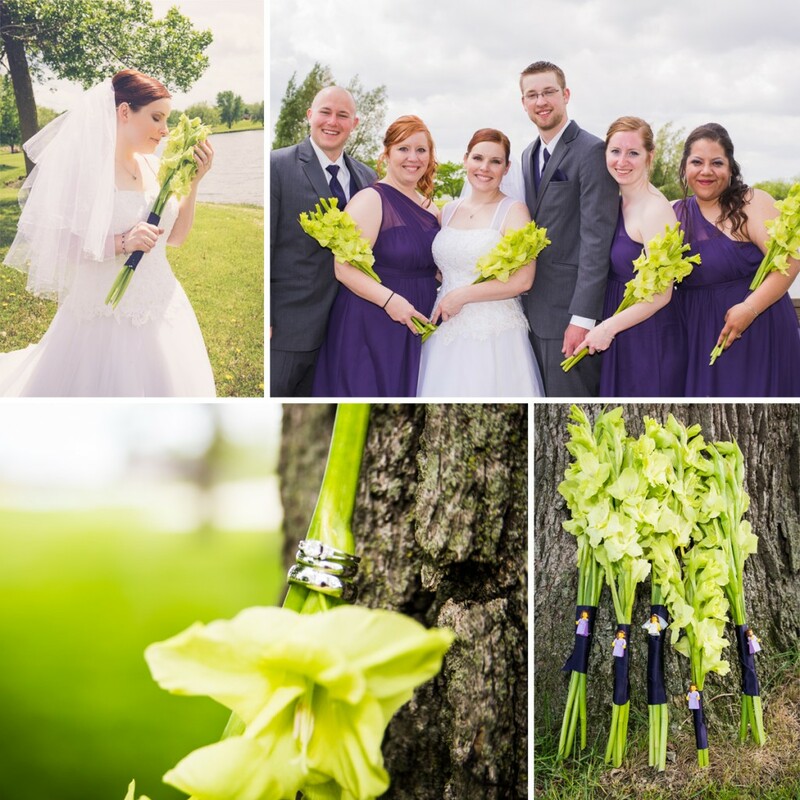 As we enter into August, I thought it would be the perfect time to share a bit about the August Birth Flower, the Gladiolus, plus, I have a recent FiftyFlowers Review in which the bride used Fresh Gladiolus Flowers from FiftyFlowers, so I will share that with you too! The Gladiolus is a striking, long stemmed flower with beautiful trumpet shaped blooms that emerge, usually on one side, from the bottom to the top. The name comes from Latin’s “gladius” meaning “sword” for its sword shaped leaves, hence why it is also sometimes called the Sword Lily. The Gladiolus is said to symbolize integrity, infatuation and honor and some say that the recipient’s heart is being “pierced with love.” They are Modern yet Classic, Simple yet Elegant. Each Gladiolus stem features about 8-12 blooms (blooms near the top may remain un-bloomed) running the length of the stem and the stem length can average between 44-48 inches with our premium and super premium gladiolus. So they are great for adding height to your arrangements. They are available in 10 different colors, including Pink, Purple, Red, Green, Yellow, Orange, and, of course, White. To see our full selection of Gladiolus, click here. Wholesale Flowers Ordered: 8 bunches Gladiolus Green Flowers. What She Made: 1 Bridal Bouquet, 3 Bridesmaids Bouquets and 10 Centerpieces. Fill containers with at least 4 inches of fresh, lukewarm water. Add floral food to prevent bacteria from forming in the water and to give added nutrients to the Gladiolus. If you do not have flower food, it can be purchased at any local florist. Using sharp scissors or a knife, place the stems under running water and cut them diagonally approximately one inch from each of the stem’s bottom edges. Allow flowers at least 4 hours to hydrate well. Gladiolas may take up to 12 hours to properly hydrate. Change water every 24 to 48 hours or when the water becomes cloudy to keep flowers fresh. Assure that your Gladiolas have sufficient water. The flowers will drink an exceptionally large amount of water upon arrival.